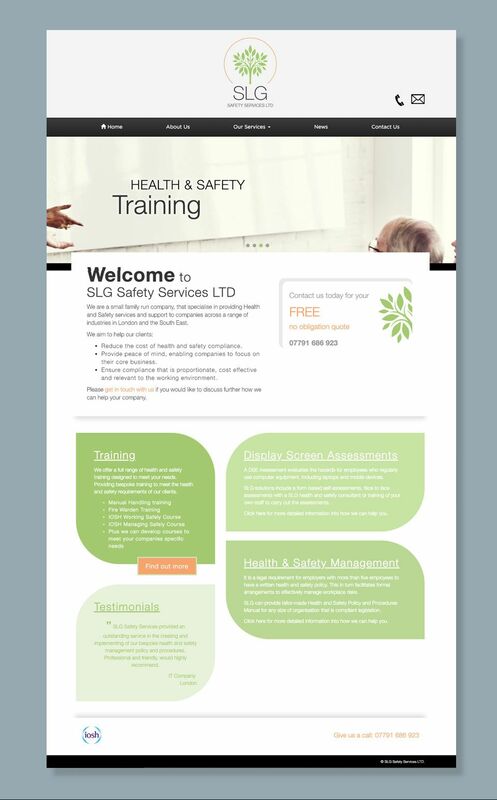 SLG Safety Services specialise in providing health and safety services and training. They needed a logo and a responsive website designed. They came to me with a colour scheme already in mind and the need for the inclusion of a tree icon. At first the idea of orange and green together worried me, I didn't want the logo to seem cartoon like, but the end result was a clean and simple design that looks great across both print and digital. They wanted their website to have enough information to explain what they do, how they do it and why. However they didn't want mounds and mounds of paragraphs sending any visitors to sleep. 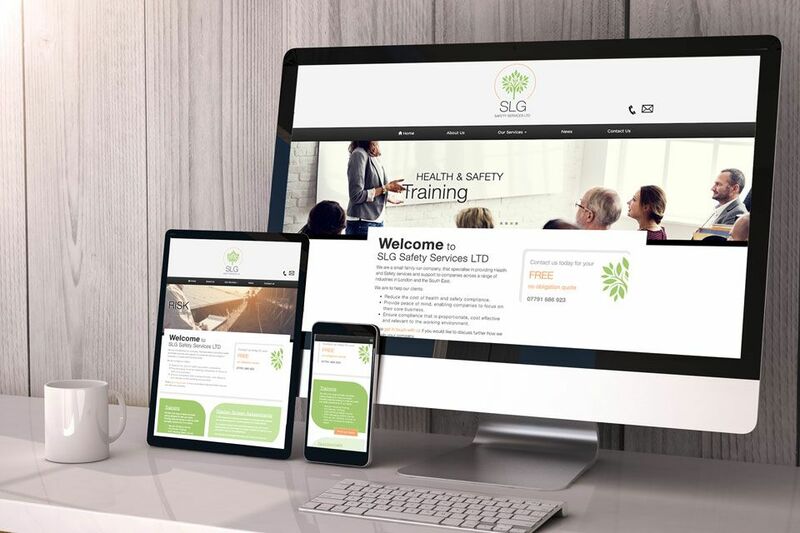 We covered this by having the important information easily accessible on the home page and in short bursts, then if you wanted further information this was available at a click of a button.